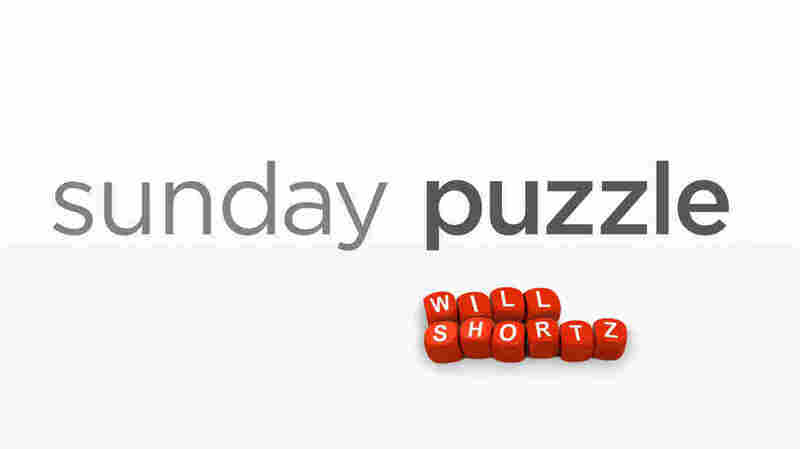 Sunday Puzzle: A Capital Challenge NPR's Lulu Garcia Navarro and puzzle master Will Shortz play a word game with Tova Tenenbaum of Philadelphia. 2. Contains the letters of COMBS in left-to-right order? 3. Consists of the chemical symbols for gold and sulfur followed by the full name of a third chemical element? 4. Contains a silent O as its third letter? 5. Ends in an "O" sound — but does not contain the letter O? 6. Consists of a candidate for president in 1988 + a president in the 1970s? 7. Ends with the first name of this program's host? Last week's challenge: This challenge comes from Joel Fagliano, the digital puzzles editor of The New York Times. Name a major U.S. city in 10 letters. If you have the right one, you can rearrange its letters to get two 5-letter words that are synonyms. What are they? This week's challenge: This comes from listener James Matthews of Little Rock, Ark. The challenge is to make a 9-letter word meaning "left" using only a B and one D. Can you do it? If you know the answer to next week's challenge, submit it here. Listeners who submit correct answers win a chance to play the on-air puzzle. Important: Include a phone number where we can reach you by Thursday, Jan. 17 at 3 p.m. ET.